New Year is behind us and we will soon be entering the season of Lent. 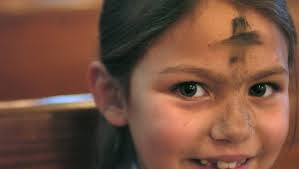 We still have three weeks before Lent begins on Wednesday 18th February when we will be having a special Ash Wednesday service at All Saints beginning at 7 pm. This is a solemn service when we come before God and confess our sins. The liturgy will include the imposition of ashes. The day before Ash Wednesday is Shrove Tuesday, orMardi Gras. In the British tradition it is known as Pancake Tuesday, and many people enjoy pancakes on this day. At All Saints we will have a pancake potluck following the service on Sunday 15th February. More details to follow. Meanwhile our worship continues in this season of Epiphany as we remember our call to discipleship. This Sunday our readings are Deuteronomy 18:15-20, 1 Corinthians 8:1-13, and Mark 1:21-28, and we will be singing the hymns Holy, Holy, Holy, Lord God Almighty, In Christ Alone My Hope is Found, For the Bread Which We have Broken, and Tell Out My Soul the Greatness of the Lord. You can find the readings via this link. Our sermon will challenge us to live prophetic lives. Father, Son and Holy Spirit, you are mine and I am yours. Further ahead, we are thinking about starting a Confirmation Class. Confirmation is the traditional way for publicly declaring your Christian faith and membership of the church. In doing so you confirm your baptism. If you have not already been baptised, then you can be baptised and then confirmed. It also signifies your receiving of the Holy Spirit. If anyone, of any age, is interested in being confirmed please see let me know. This Sunday our readings are Jonah 3:1-5,10, 1 Corinthians 7:29-31, and Mark 1:14-20, and we will be singing the hymns Jesus Comes with Clouds Descending, Come let us use the grace divine, Wonder of wonders here revealed, and Let All the World in Every Corner Sing. You can find the readings via this link. Our sermon will be reflecting on our commitment to God. 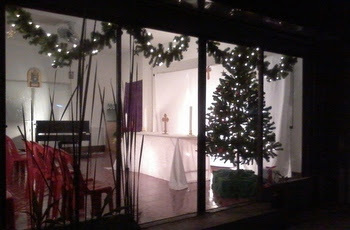 Christmas and New Year is over and we have moved into a quiet time in the Church year. There are no festivals of note until we mark Ash Wednesday, and the beginning of Lent, on 18th February. 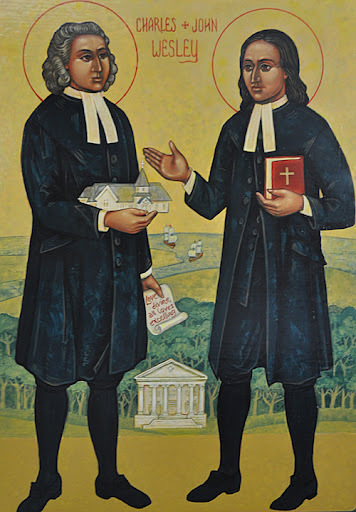 However, on 25th January our liturgy will contain the Methodist Covenant Prayer as we commit ourselves to God and to one another for another year. But… it is still good to praise God together! All Saints at Christmas – over for another year! What a wonderful Christmas season we have had! Today is the Feast of Epiphany and Twelfth Night, and we took down all the church Christmas decorations after the service last Sunday. Thanks to everybody who made Christmas such a great celebration! Last Friday, Nancy, Harvey, and I, traveled up to Doi Saket and had a look at an organ that a friend of mine is building in his house. 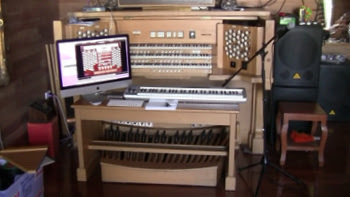 It will be an exact electronic replica of the organ in Salisbury Cathedral – it already sounds amazing! Hopefully we will be able to build something similar, but simpler, for All Saints! It is good to worship God with music! If anyone has an old MIDI compatible keyboard that they don’t want, please let me know. Christmas is over, but we still have a Christ who we can worship! This Sunday our readings are Genesis 1:1-5, Acts 19:1-7, and Mark 1:4-11, and we will be singing the hymns All People that on Earth do Dwell, Praise my Soul the King of Heaven, Immortal Invisible God only Wise, and Christ is made the Sure Foundation. You can find the readings via this link. The title of our sermon will be Don’t keep drinking Tequila!